<< Back Fordite On The Frontpage! 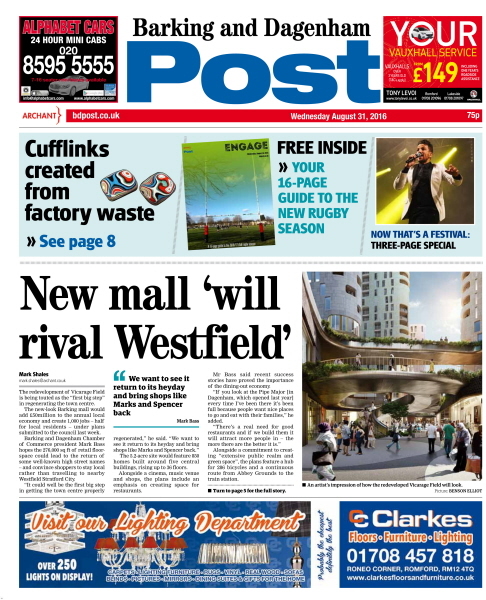 Fordite On The Front Page! I was thrilled to be asked for a newspaper interview. 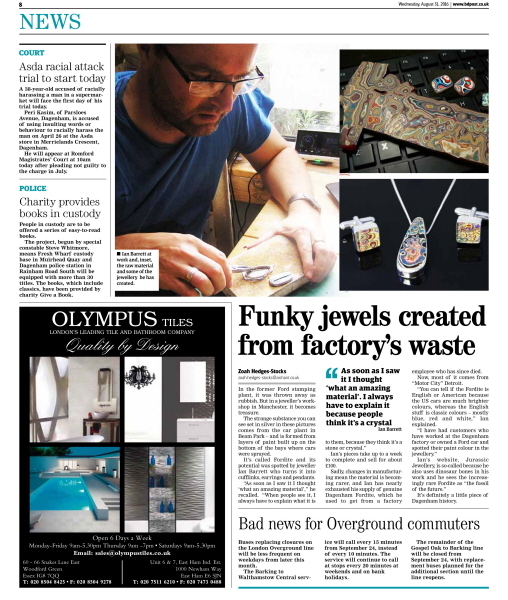 The Dagenham paper realised the relevance of my Fordite jewellery as much of it was created from Dagenham Fordite collected at the Ford factory by the late Paul Mcnally many years ago. I have already received messages and orders from Dagenham residents which is lovely. I hope you enjoy the Fordite jewellery interview and pictures!